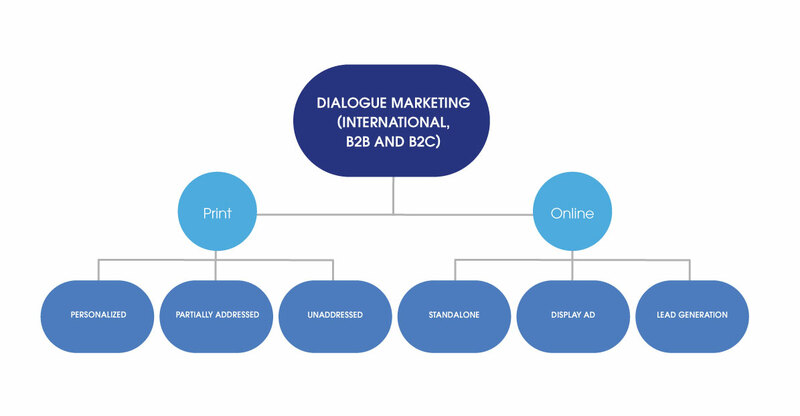 Dialogue marketing offers an extremely diverse range of options for winning new customers. 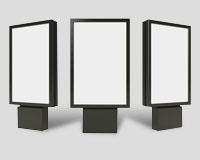 Both print (addressed, partially address or unaddressed) and online measures can be used and successfully attract interested parties. Whether you are trying to attract mail order shoppers, subscribers, those who prefer shopping in person or those who favour shopping online, we can offer you a complete cross-media package for winning new B2B or B2C customers – and that applies to international customers too! Experience has taught us that using a cross-media approach results in an increased response, winning you more new customers. That is because different people react to different media, even if they are part of the same target group. What is more, while deciding to buy, your potential customer will change media channels frequently. In his daily routine he will switch backwards and forwards between online and offline media. So, for example, the first impulse to buy can come from a mailshot, an insert in a parcel or print media, an e-mail newsletter or a catalogue. Take advantage of the opportunities created by cross-media communication in attracting new customers and gradually incorporate interactive media into your dialogue marketing concept, because nowadays the world of dialogue is smart and digitally connected. Experience has shown that a cross-media advertising approach to customers is significantly more successful than a mono-media campaign. Used in the right mix, dialogue media reinforce one another, significantly increasing the effectiveness of the campaign. However, age-related characteristics should also be taken into account. The so-called digital natives, i.e., those born after 1980, want to be approached differently than those in generation Z, that is to say, those born after 1990. But nowadays, even the best agers, the over-50s target group, expect a contemporary approach via modern media channels. What was once seen as a voluntary exercise is increasingly becoming essential for winning new customers. Take advantage of the opportunities that we can offer! 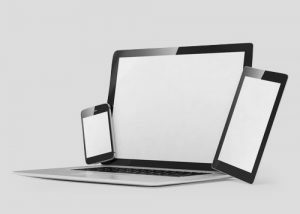 Whether you are trying to attract mail order shoppers, subscribers, those who prefer shopping in person or those who favour shopping online – cross-media dialogue opens up a wide range of possibilities. As a result, we are able to make contact with your potential customers on their customer journey on multiple occasions within a single campaign. Take advantage of our experience – we know what we are doing! Contact us today! We will support you in devising a successful cross-media campaign and work with you to bring it to life. Our experts will support you in the planning, implementation and evaluation, irrespective of whether you are trying to attract B2B, B2C, regional or international customers.